What do Mormons teach about Jesus, the Trinity, God, baptism for the dead, and how to be saved? The Latter-day Saints often use Christian terms, but mean something completely different. The 10 Questions & Answers on Mormonism bestselling pamphlet will help you discover the truth about these and many other critical issues. 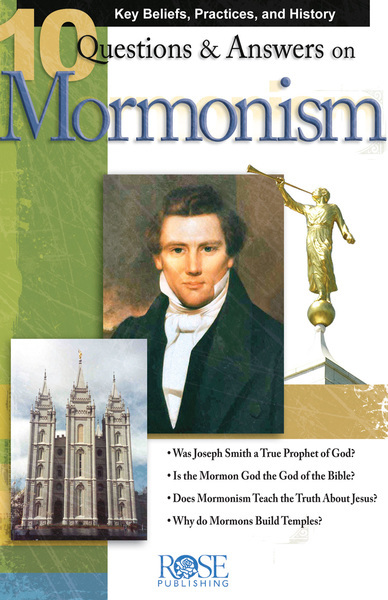 This glossy full-color pamphlet provides a clear summary of what Mormons (Latter-day Saints) believe, their practices, and history. 10 Q & A's offers sound tips for interacting with Mormon friends, neighbors, and co-workers, and much more.